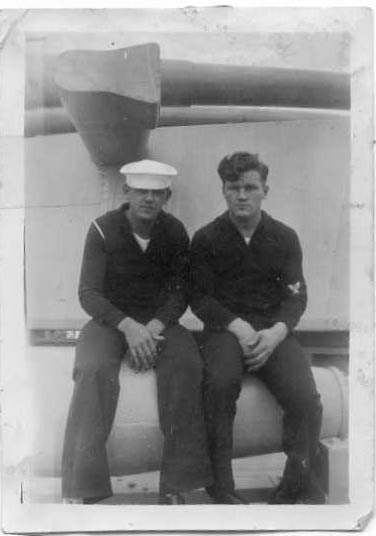 Lester Best enlisted in the Navy on February 12, 1924 in Albany, NY. He was discharged February 11, 1928 at San Pedro, CA. He was a ship fitter 2C under Captain W.T. Cluverius. Lester Best is on the right in the photo below with Pete Fanslow.